It's been a long time since I've been on here geez maybe since 2007 or so... So this is my new acct! It feels good to be back. I'm the 2nd owner of a 76' 620 that was my first truck when I was 15 yrs old. It was donated to our high school auto shop after the original owner passed in a car accident. I paid $300 running. 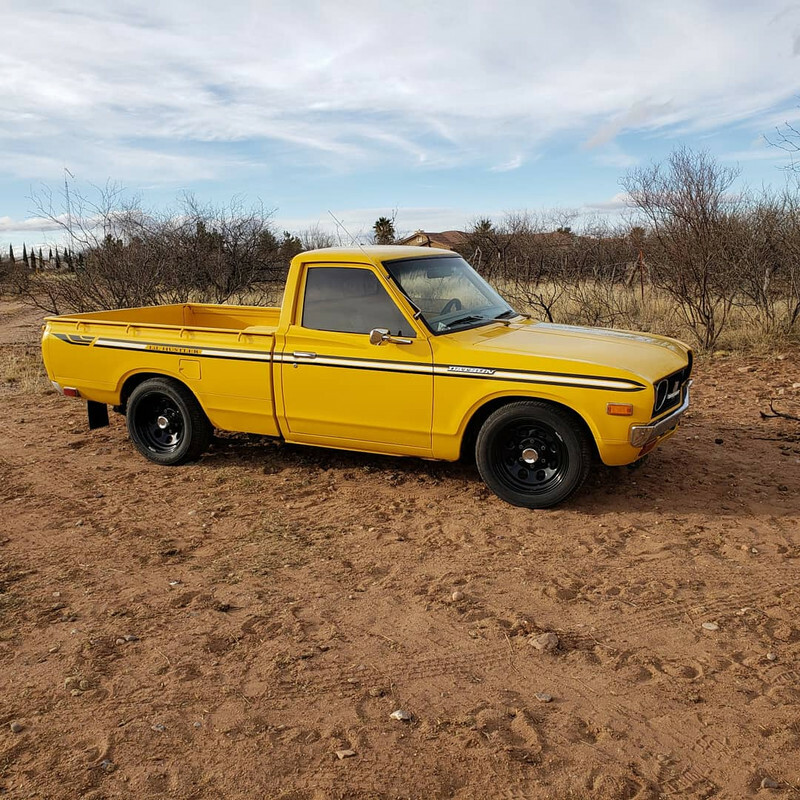 In high school she had a L20b with a u67 head with a 3 speed auto. Shitched it out to a 4 speed man, paint wheels, interior all that jazz. After high school with so much help from this forum so much, pulled the engine. Worked with this shop in Tucson called primarly Japanese. They built me a 89mm Z20E bottom end with the u67 head from the old motor, 32/36 webber. Just thought I should say hello again! Has a couple pics from yesterday. You have a 210 head on 2.4 liters? Valves and ports are too small for even the L16. Isn't this making 7 the hard way? Or do you mean the L16SSS head? What pistons did you use? Im not sure what they used.. geez I'm sure he told me but it's been so long now. I also never checked the stroke or if they were actually bored to 89mm myself.. i was 18 and ignorant.. i recently actually just checked the bottom end since i forgot what it was. 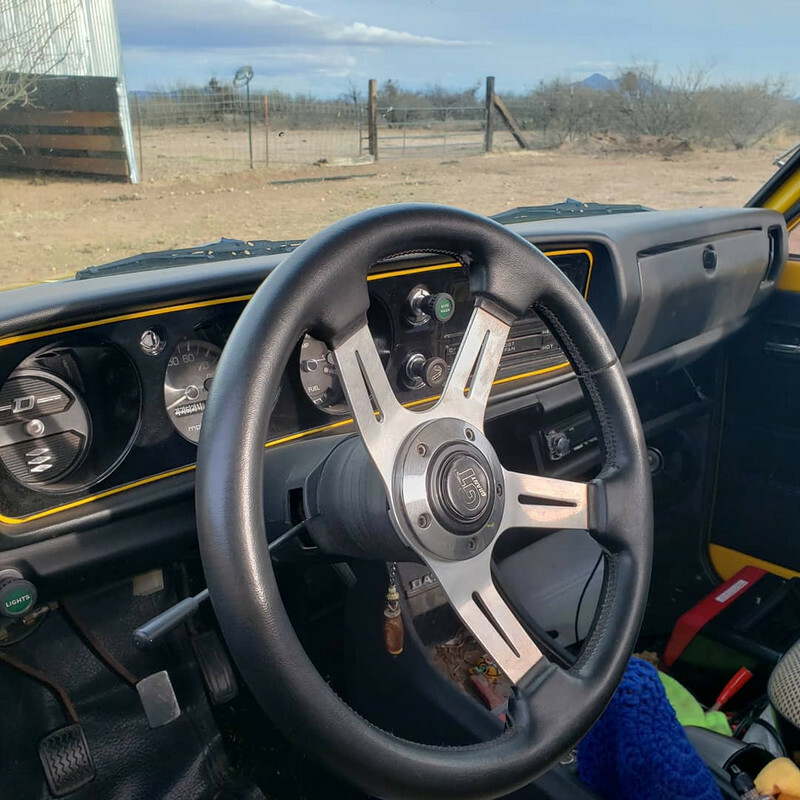 With all the markings grinded down the only way I could figure it was a z20e was the dipstick on the driver's side and a w14 on the left what I came up with from reading on here... ya know I'll have to call him and touch base again. I'm sure he will be excited as most of these trucks get wrecked or parted out..After the engine was built, I started school, got really busy never really looked back. It's pretty disappointing now looking back and how I just dropped out of the scene. Anyway here's a pic of the block. Well the exhaust manifold is from a '75-'77 L20B but the intake is from much earlier and most likely from an L16. Has no EGR so before '74. NOT an L20B block with that sealed heater hose outlet, that's a Z20 or Z22. 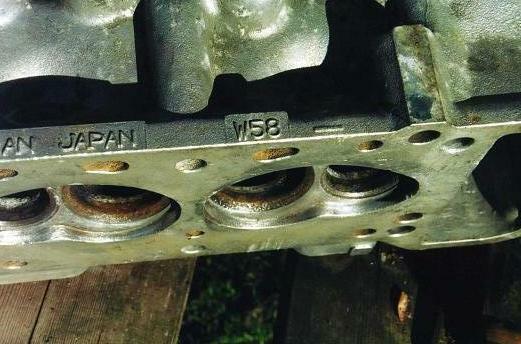 Not a Z24 by the looks of the timing cover bolts. It'll be hard to see but just below the two twined exhaust pipes in the middle of the block, top edge is a flat cast boss with the engine size stamped into it. See below the two square exhaust ports? Told you it wouldn't be easy. A Z20 engine has an 86mm bore so going to 89mm is a stretch but do-able. The thing is the Z20 uses a long 152.5mm rod and there are not many 89mm wide pistons that have a 31.75mm pin height so the piston does not hit the head. VG30 pistons (87mm) would fit perfectly. Maybe they were '87mm. How in the heck do you have an uncracked dash pad in AZ? Cars get baked alive down there! How in the heck do you have an cracked dash pad in AZ? Cars get baked alive down there! Lol I replaced the dash 10 yrs ago found some NOS on line for like 450 bucks but mostly garage kept..
Yeah marking under the exhaust is ground down but it is a u67 head yeah he might have done vg30 pistons but I'm not thinking so... thanks for the Info! 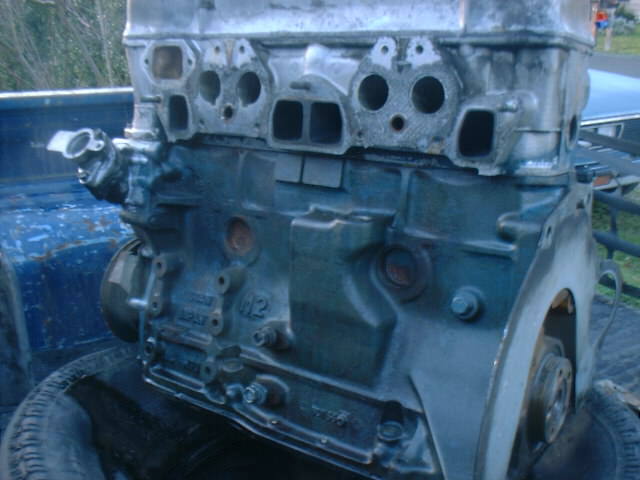 One day soon this summer I'm going to pull the head and see if its port n polished so then I can measure the bore. The marking under the middle two exhaust ports is for the block ID. If you ID it then you will know the minimum bore size. If Z20 then 85mm if Z22 then 87mm. The U67 is a good head for an L20B and better than the A87. The only trouble was the terrible co-joined exhaust and intake of which yours has been separated. I did a similar thing with my U67 but used a later '79 intake that I modified. It has larger runner ports. I also switched the exhaust for an earlier 4 into 2 cast iron header from an L16. I see a slight problem. You don't have a by pass hose from the thermostat down to the lower rad hose inlet. 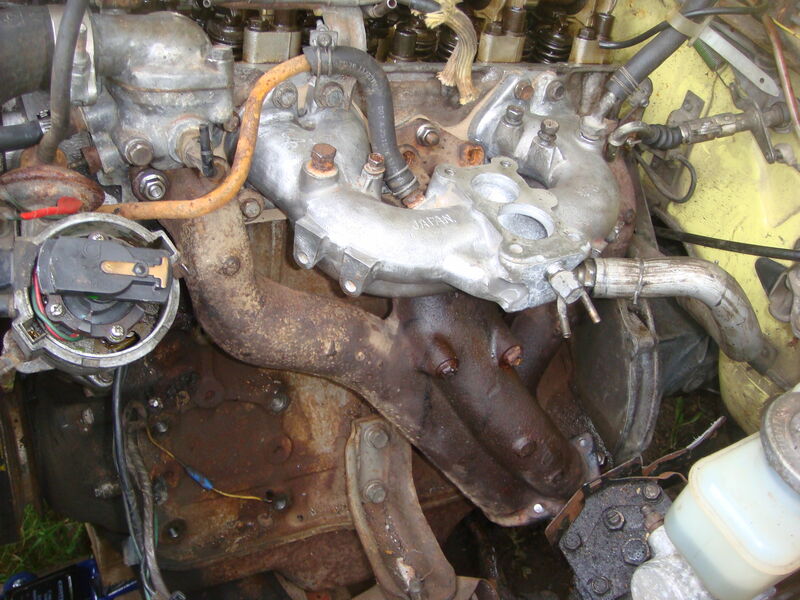 There were Z20S (carburetor) engines after '83 also. Had an Uncle that was stationed at Fort Huachuca Army Base in the late 60s and early 70s. I bought a 521 in Siera Vista in the late 70s. I have a U67 head on my L20B in my 66 520. 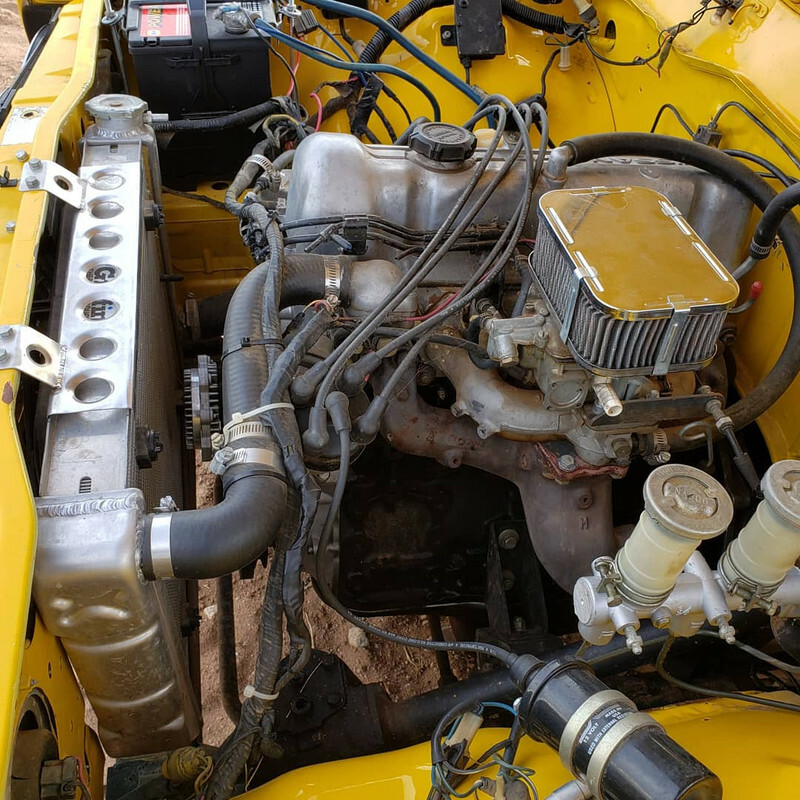 Running a Canon intake manifold with a 32/36 DGEV Weber. 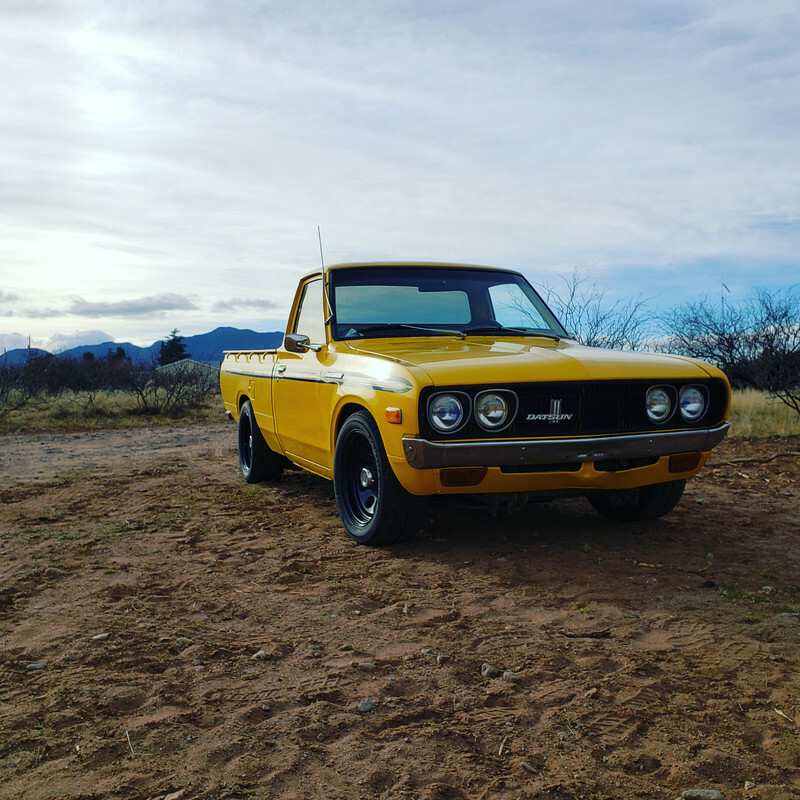 Engine and automatic trans came out of a 1976 620. What I would do is start a post of your own so all answers are yours and not mixed into someone else's post. 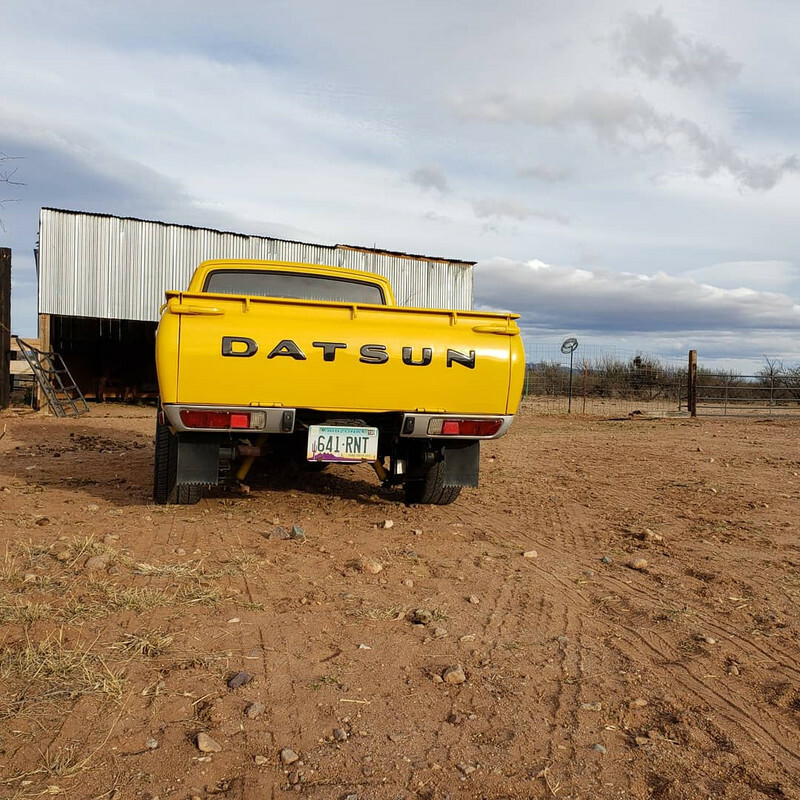 It's so easy just go to... https://ratsun.net/forum/22-other-datsuns-and-nissans/ ... and start typing. Be sure to mention you have an A10 which is the much later HL510 so it's not confused with the earlier PL510 of the late 60s and early 70s. For example... "A10 need questions answered." something like that and fill out your first post with what you have and maybe what you might like to do with it. Any problems with it? Pictures are very welcome here. If things change your project can be renamed and moved to Project-Datto perhaps? Hmmm curious why would that be a problem? Both inlet and outlet ports are plugged. The water around the thermostat is trapped, actually just outside the engine's head. The engine heats up faster than this water and the thermostat remains closed. 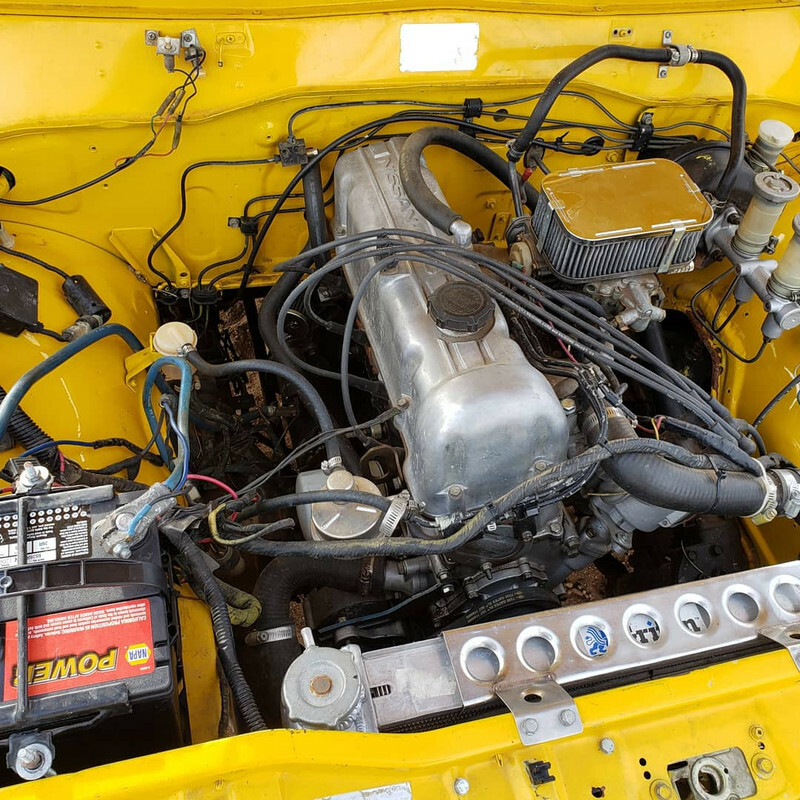 Normally there is a small tube connecting the thermostat housing down across the front of the engine to the lower return rad hose to circulate heated internal water past the thermostat. This way the thermostat responds more quickly to the engine's actual temperatures. You can drill a 1/8" hole in the thermostat to do almost the same thing but a by-pass hose is better. In addition the intake has coolant flow through it. You can see the hose in the above picture. 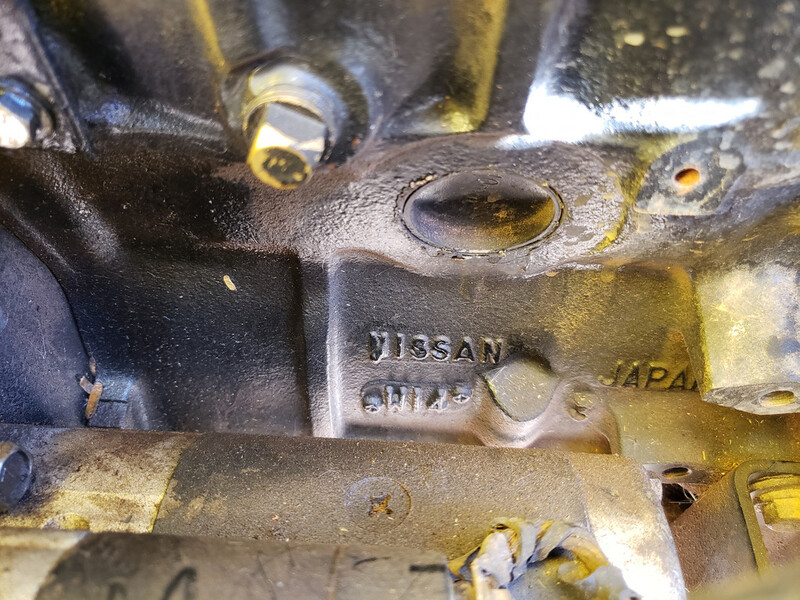 It connects into the by-pass and this flow out of two holes in the head through the intake runners warms the cold intake when cold starting and when it's hot out removes radiated heat from the exhaust which would over heat it. I also have a U67 head and drill these two holes for this. The coolant flow inside the intake keeps the entering air at a more constant temperature and the engine will run more consistently. 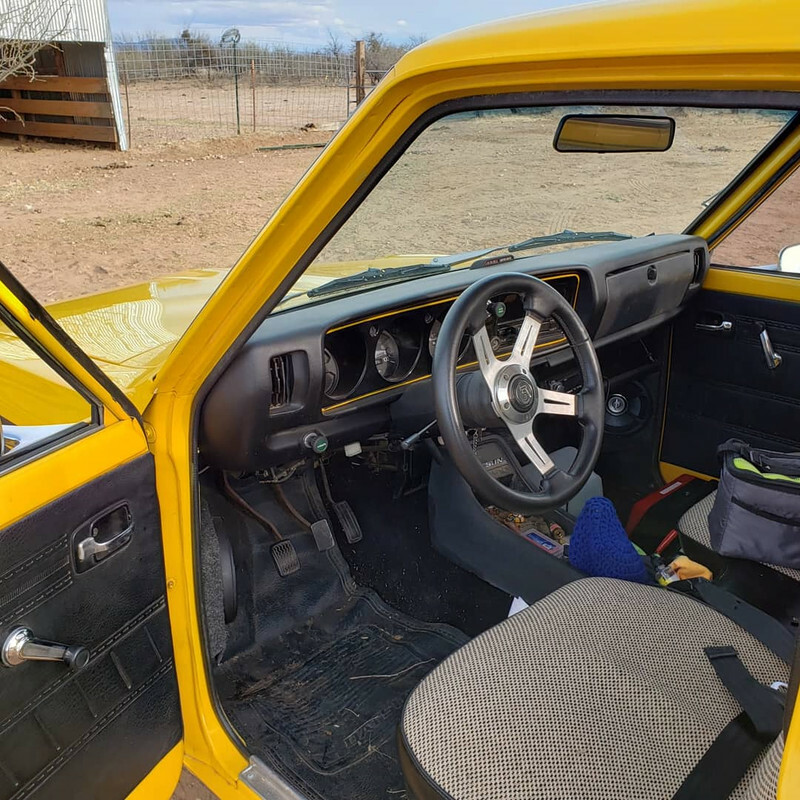 Where did you get the bucket seats?